For the first time, representatives of the Gulf countries met openly and publicly with an Israeli minister. The event took place during the ceremony of the inauguration of President Lenin Moreno in Ecuador. 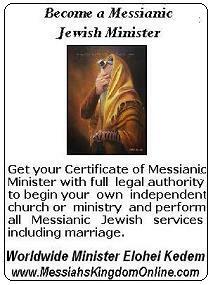 This is apparently one of the first fruits of the diplomatic move promoted by US President Donald Trump in the Middle East. 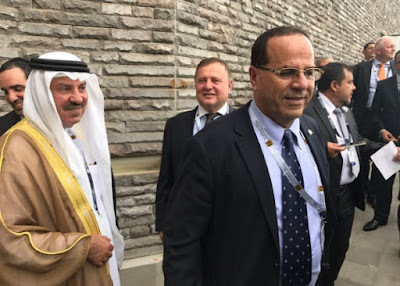 Minister Ayoob Kara of Likud's ruling party attended the ceremony in Quito along with leaders of South American countries and representatives from around the world. Kara said he was "surprised by the warm attitude of the Gulf countries" and attributed the change to Trump's visit to Saudi Arabia and Israel. Trump is promoting a flag of the countries with the United States and the United States, to counter Iran's regional ambitions. The US president is pressuring Israel and the Palestinians to reach a peace agreement, which is said to ease a wider peace between Israel and the Arab countries of the region. 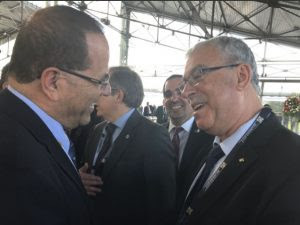 Kara, a minister without a portfolio, issued photographs of representatives of the Palestinian Authority and delegates from Oman, Qatar and Yemen, and other Arab countries as well as the prime minister of the Saharawi Democratic Arab Republic in southern Morocco, Abdelkader Taleb Omar. Together with the Israeli ambassador to Ecuador, Edwin Yabo, Kara discussed the latest developments initiated by Trump with representatives of Arab Gulf countries. "President Trump and Prime Minister Biniamin Netanyahu are coordinating every step of this political initiative and progress in the matter," Kara said. Kara, a member of the Druze minority, noted that the meetings were "open and cordial" and that all parties "expressed their approval to move forward in political negotiations." "For the first time, after years of action in the political arena [representatives] of the Saudi coalition agree to meet openly with me as a representative of the State of Israel," Kara said.